Peymané has been Professor of Public Health at the University of Birmingham since 2013. 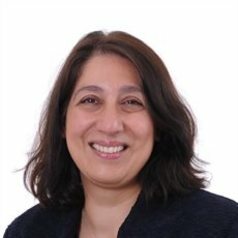 She has developed a national and international portfolio of work in chronic disease epidemiology and behavioural medicine, including a programme of work on obesity prevention, focusing on children and multiethnic populations. Her research interests also focus on screening and the epidemiology of COPD. She holds major grants in these areas from the National Institute of Health Research and the Medical Research Council. Peymané also takes an active role in teaching, having previously been director of the Graduate Entry Course in Medicine, and deputy director of the Birmingham MPH course.